Time and venue: June 20,2018. 12:00 @ DiVino, Wine Bar & Restaurant, 73 Wyndham Street, Central, Hong Kong. Certainly the most diverse of our recent networking lunches, with several visitors from Shenzhen! Great fun, and many useful tips about the turnaround business were exchanged between Hong Kong and Shenzhen practitioners. Angelo Traas, a founder of our new Shenzhen Chapter, will be hosting a Shenzhen lunch next time. 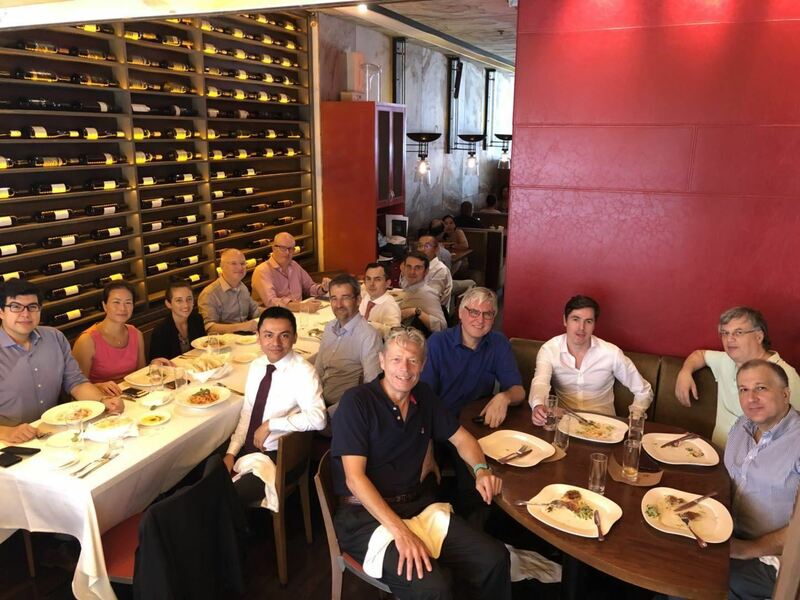 The May 2018 monthly lunch of ATTA Hong Kong Chapter turned really serious when current and upcoming Private Equity backed turnarounds were discussed and precious pieces of advice were traded between practitioners. ATTA/Corporate collaborations were also discussed and the launch of a South China Chapter appeared as an obvious near-term project. Some stats: 3 ATTA founder members (from 2010, time flies! ), 3 board directors, visitors from Shanghai, Shenzhen and Jakarta. Laughs: quite a few. Time and venue: May 25,2018. 12:00 @ Orange Tree (Dutch cuisine), 5/F Grand Progress Building, 15-16 Lan Kwai Fong, Central, Hong Kong. We are looking forward to gathering again for monthly lunches in Hong Kong. Please check the "Upcoming events" section for updates. The 8th ATTA Annual Conference 2017 was held on November 10, 2017 in Hong Kong. Please check the relevant link in the "Conferences" section for details of the agenda. The Hong Kong chapter held a fun event on 12 April in one of Hong Kong's microbreweries, Little Creatures where the key topics of discussion were bitcoin (Gavin Wyborn gave a fascinating explanation ) and how LinkedIn has replaced databases and recruitment agents. The result is not digital disruption but reliance on real personal networking (Celine Laffin told her personal story on this from a practitioner's standpoint). Apart from that, naturally the beer was good, the atmosphere and the food were good and above all the company was excellent. Please look out for the next Hong Kong chapter event which will be in the summer. 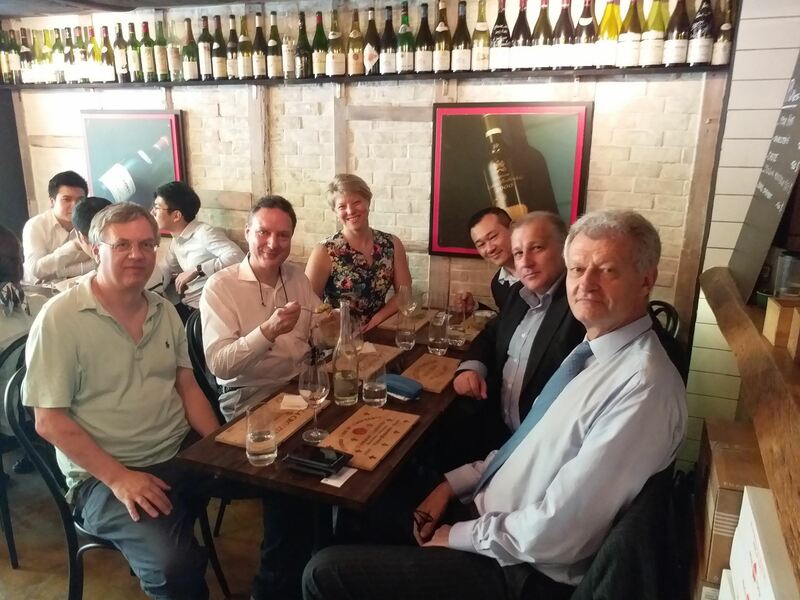 The Hong Kong chapter met on Wednesday 8th February 2017 for informal drinks in a cool Italian wine bar with tapas in central Hong Kong . As ever the discussion was diverse and lively, ranging from management and tax issues to the realities of doing business in China. several networking opportunities and new connections were made. We somehow avoided discussing Trump and Brexit! Watch this space for the next chapter event! The Hong Kong chapter event on Monday 05 December 2016 was a roundtable discussion held at a private dining room in Sheung Wan, the guest speaker being Anthony Willoughby from Nomadic School of Business (his co-founder Josie Stoker being unable to attend). We had a fascinating and diverse group of people. The discussion ranged from principles to be learned from nomadic peoples, single-handedly running a factory in China, to crossing jungle for six days with local tribesman and hardly any food, to exploring sacred and meditative spaces in Hong Kong and the biography of China’s only female Emperor, Wu Zetian (which Vanessa Iloste is writing). We somehow managed to avoid Brexit and the US election. Several people commented that it was one of the best roundtables they had ever been to, in which there was a genuine sharing of ideas and no self promotion. On 10th February, 2015 PwC kindly hosted a breakfast for ATTA members and friends where the topic for discussion was the challenges facing SMEs in turnarounds during the M&A process led by Guy Facey, Chair of the Hong Kong Chapter. With thanks to PwC for the generous hospitality. On 6 June, Ky Nichol, Global Head of International Public Sector and Major Sporting Events for Pcubed, gave a fascinating presentation on some of the key lessons learned specifically from working on the London 2012 Olympic Games. Pcubed is a global management consulting firm focused on program, portfolio and change management and has been closely involved with the delivery of many major sporting events over the past ten years from Olympic and Commonwealth Games to the World Cup. Leading law firm Howse Williams Bowers very kindly hosted the event which saw attendees from across the spectrum attend the thought-provoking and eye-opening presentation and join in with the discussion. On 9th April 2014, PwC kindly hosted a Roundtable Dinner for ATTA members and friends. Adam Salzer of PwC facilitated the discussion which kicked off with John Shelley, Chief Risk Officer, Asia Pacific, RBS Group and Anne Myong, WalMart China, sharing some of their experiences and discussing the tools and processes that proved most effective for them when working on transformations of large organisations in Asia. The topic sparked considerable debate amongst the group of 18 transformation and turnaround leaders who attended and the conversation continued late into the evening. With many thanks to PwC for hosting the evening.